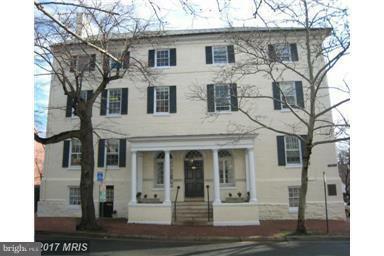 Unique 3/4 office space in DOWNTOWN ALEXANDRIA'S HISTORIC DISTRICT; walking distance to City Hall, Alex. Courthouse, shops and restaurants. Minutes to Natl Airport, and DC. This is historic Wise's Tavern. Freshly painted and newly carpets. Lease includes all utilities.